This paddock fence was installed for the Noland residents. The noland residents needed and affordable solution to contain their three dogs. M.C. Fence provided an estimate for this 4 board paddock fence with welded wire. The noland residents are happy customers. Wood fencing remains a popular choice among homeowners for its beauty, privacy, and longevity. Wood is also a versatile material that can be used for a variety of fence applications. The experts at MC Fence And Deck install high-quality wood fences in pine or cedar, providing top-notch design and installation to ensure that your wood fence will serve its purpose for years to come. To request your free on-site design consultation and no-cost quote, call us at 1-844-385-9264. You can also click below to fill out our simple contact form and one of our specialists will call you as soon as possible to set up your appointment. Whether you are looking to install a wood fence around the perimeter of your yard, garden, or anywhere else, you can trust MC Fence And Deck to provide high-quality products and professional, hassle-free installation. Call today to request your free estimate for wood fence installation! 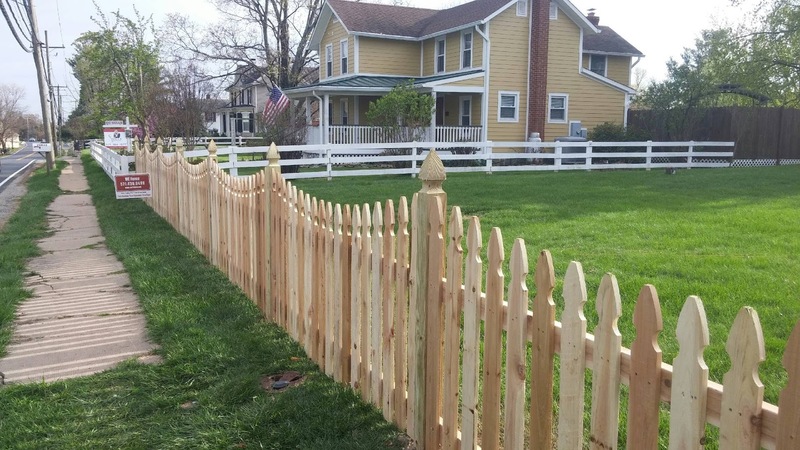 We are your expert fence company in Sterling, Lincoln, Ashburn, Lovettsville, Middleburg, Paeonian Springs, Philomont, Round Hill, Waterford, Berryville and surrounding towns and cities.